Heritage Rose is a prestigious and market-leading uPVC sash window that simply oozes period charm and character. 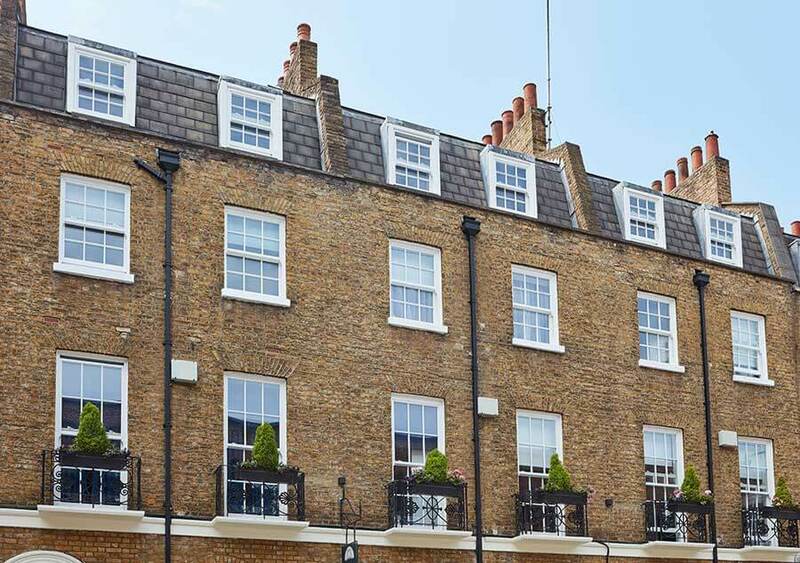 For this reason, more and more homeowners across the UK are opting for Heritage Rose when replacing their uPVC sash windows. 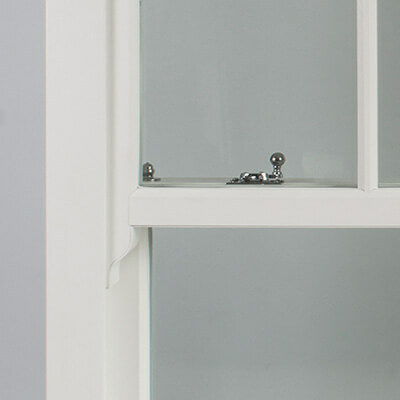 Designed with all the traditional detailing found in period and victorian windows, Heritage Rose sash windows are a highly customisable and comes in a range of colours to suit individual needs. A number of decorative features such as authentic astragal bars and run-through sash horns ensure complete authenticity and make this window virtually indistinguishable from a timber original. 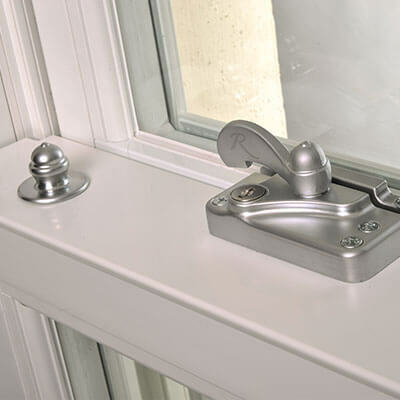 Whilst slim sight-lines create an eye-catching classic impression, the highly-engineered Heritage Rose sash window also scores top-marks for its security, acoustic and energy efficiency credentials. And homeowners will love the fact that their new windows are easy to operate an extremely low-maintenance. Single-piece sash horns with bespoke flush end caps. 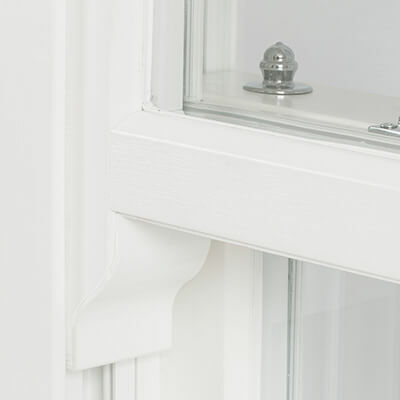 The slimmest sightlines of any uPVC sash window. Available with a wide range of options to suit any property. Great energy efficiency, sound insulation and security. Several years ago we designed our own run-through horn system, rather than leaving it to the systems companies. Using a simple and bespoke horn design which – crucially – is topped off with a flush fitting cap, the result is the most authentic run-through horn you can get. We could have gone down the easy route and designed a bold horn with a “hide all sins” wraparound horn cap. But at Roseview we’re not interested in just finding the easiest path; we’re about making the best, most authentic windows we can. The Rehau Heritage VS profile is the envy of the industry, as it has – quite simply – the slimmest sightlines available. It has flat putty-style external glass lines and subtly-moulded internal ones, which are fully matched on the astragal bars. It also has triple-sealed concealed brushpiles, silver or white gaskets (so that they don’t stand out like black does) and an authentic deep bottom rail. 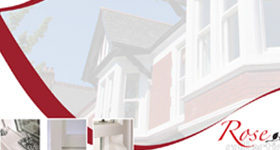 In short, the Rehau profile is simply the best one on which to base our Heritage Rose uPVC sash windows. Heritage Rose uPVC sash windows comes with a wide range of options, allowing you to customise it to suit your customer’s exact needs. It’s available in five colours and finishes, or can be painted to any RAL colour. There are lots of furniture options available, again in different colours. You can add Secured by Design to it to enhance security, or acoustic glass to increase sound insulation. And that’s just the start. 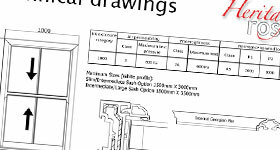 Contact us to find out just how customisable Heritage Rose uPVC sash windows really are. Whatever you want, we can probably do it! Heritage Rose uPVC sash windows may have been designed with authenticity in mind, but not at the cost of modern features and benefits. 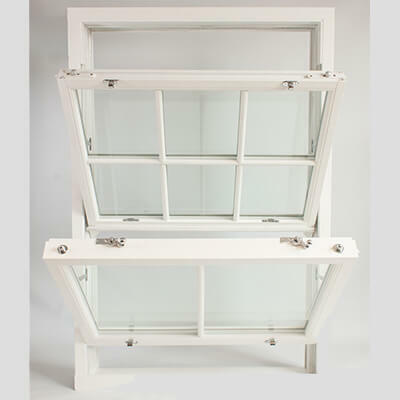 It’s energy efficient; Heritage Rose sash windows are ‘A’ rated as standard. It also offers excellent acoustic performance helping to block out external noise, and is PAS 24 accredited, meaning that it is strong and secure. This can be enhanced even further with optional Secured by Design rating. Like every window in the Rose Collection, both sashes tilt inwards to make them easy to clean from the inside. 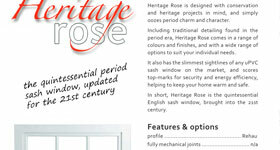 And best of all, Heritage Rose sash windows are easy to operate, very low maintenance and never needs repainting. Max width/height and energy rating are dependent on finish and glazing configuration. A full list of resources is available from our Resources & Downloads and Technical Information pages.